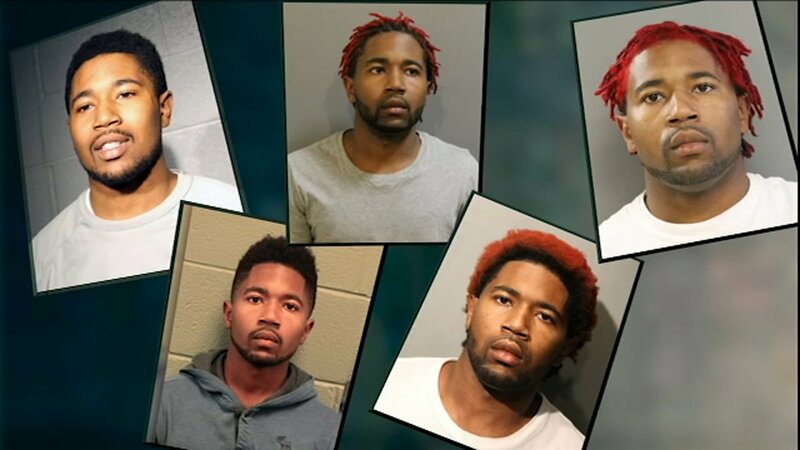 A second suspect in the theft of nearly 370 brand new guns from a freight yard in Tennessee has surrendered to Chicago police, the ABC7 I-Team, has learned. Roland Jackson, 24, turned himself and was in custody on Wednesday, according to police officials in south suburban Midlothian who had been investigating the case. Jackson and his alleged accomplice were found Sunday in a van that had been reported as suspicious parked outside a Midlothian drug store. The other occupant of the van, 18 year old Taveyan Turnbo also of Chicago, was taken into custody by Midlothian police officers following a brief chase. Most of the stolen guns were found inside the vehicle, according to authorities. The pistols, .22 and .380 caliber Ruger firearms, were stolen early Sunday from a United Parcel facility in Memphis, Tennessee. Bureau of Alcohol, Tobacco, Firearms and Explosives officials said the guns had been shipped from North Carolina and were headed to Dallas, Texas when they were taken by two men in a U-Haul truck from the freight yard in Memphis. The theft was one of the nation's largest investigated by ATF, according to agency officials. Turnbo is being held by federal authorities in Chicago after being charged with possession of stolen firearms. He is scheduled to appear at a bond hearing on Thursday. Jackson has been charged with being a felon in possession of firearms. He has a lengthy arrest record in Chicago, the I-Team reported on Tuesday.